Fruit and bread dipped in cheese? The perfect snack. 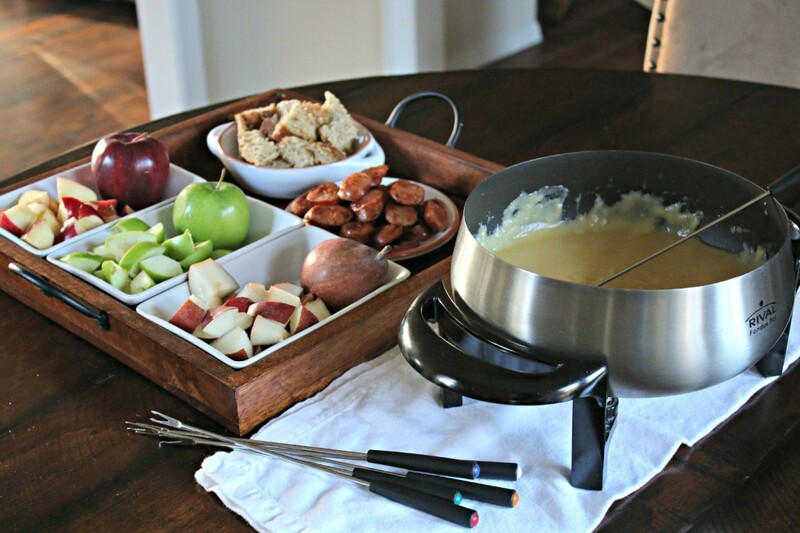 When you think of fondue you think “fancy” or lots of work. I do at least. Believe me, I am into little or hardly no work at all when it comes to food these days. 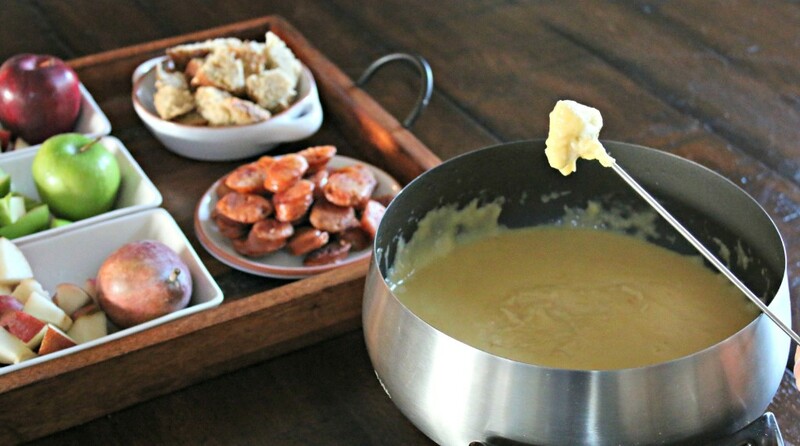 Fondue is basically just melted cheese. 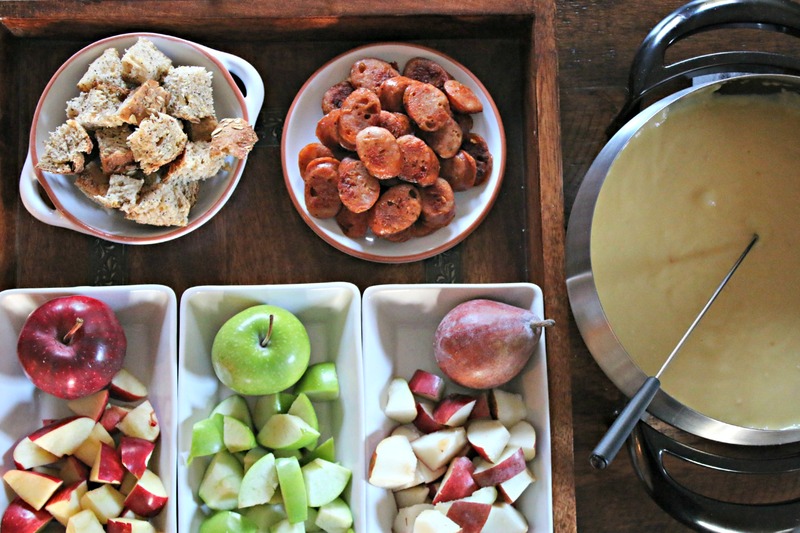 This Apple Cider Fondue I made has apple cider in it for flavor and to thin it out a bit. So delicious. 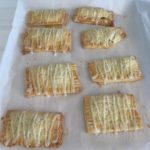 I made it last Sunday and I didn’t even use it as a snack – I used it as a meal. The options are endless for dipping…I used apple sausage, granny smith apples, red delicious apples, red pear and chunks of multi grain bread. 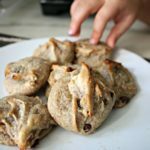 It was very filling and satisfying – and way more fun than the typical “meal”. Try it and see what you think! 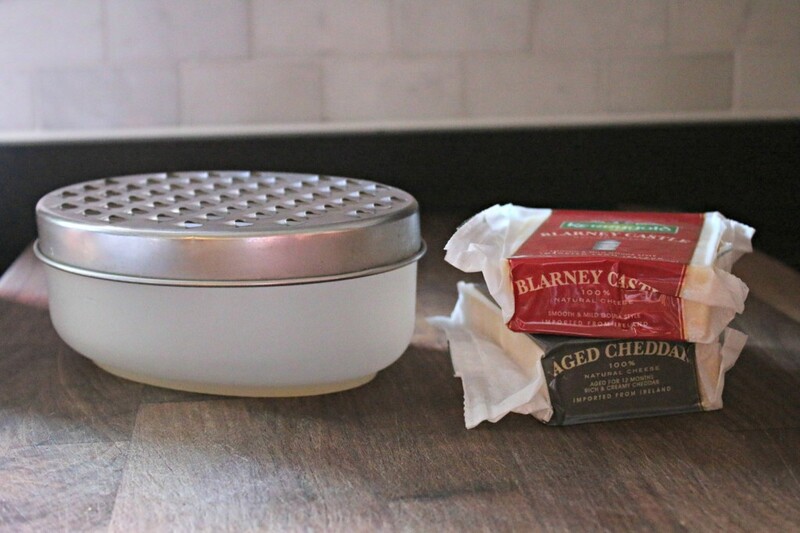 I grated 1 package of blarney castle which is a creamy gouda style cheese and one package of aged cheddar. Both were 7 ounces and a perfect combination of creamy with a sharp little bite from the aged cheddar. 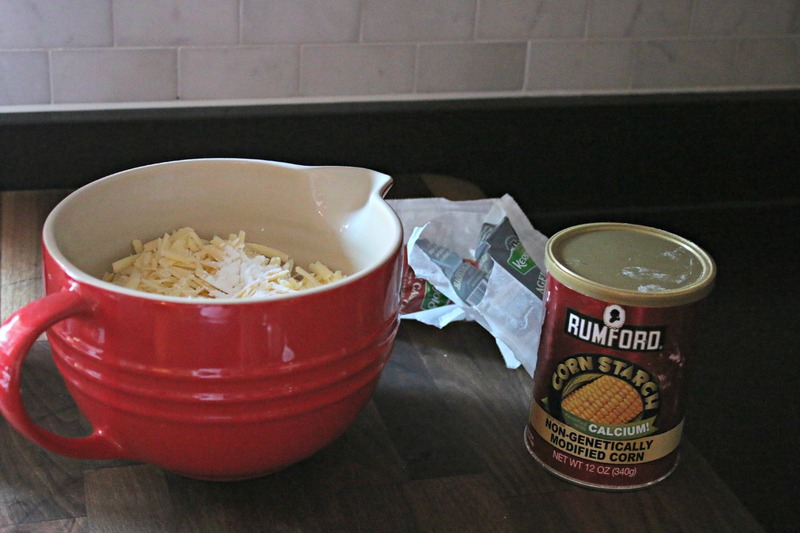 I mixed 2 T of corn starch in with the grated cheese to make the cheese less clumpy when it melted. I happened to have organic apples and pears on hand. My 5 year old got a kick out of getting to dip in his own stuff. This would make a great supper for the family or even a nice little appetizer at a party. Organic fruit, meat and cheese is always best. Different fruits,vegetables, meats and breads for dipping. In a fondue pot or on a stove top, add apple juice. Let bubble for a few minutes before adding minced garlic. Meanwhile, grate cheese and mix in the corn starch with the cheese. Slowly add in the cheese/corn starch mixture a small handful at a time - whisking while doing so. Let the cheese melt and stir until creamy. 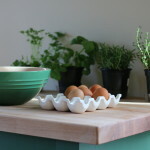 Serve with apples, bread, sausage, pears, etc. I recently purchased a fondue pot and I’m really looking forward to trying this recipe.